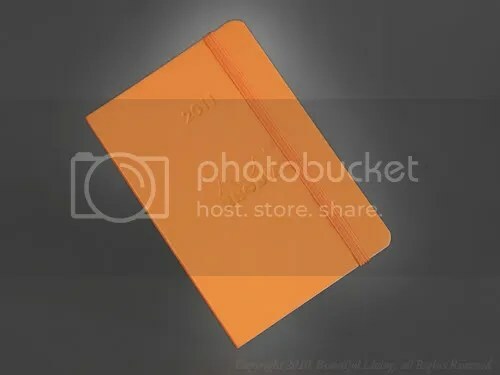 Rhodia's 2011, 4" x 6" Weekly Planner in classic, Rhodia orange. 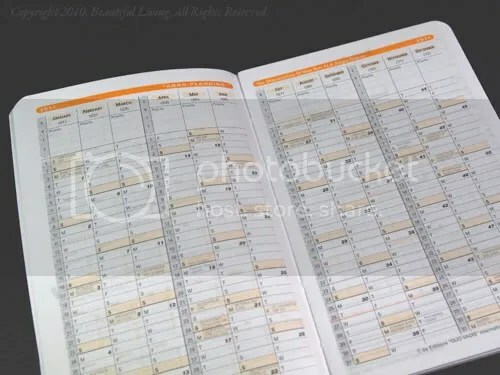 Rhodia’s 2011 weekly planners are now available at Journalingarts.com. The planners remain essentially the same as last year’s planner and offer everything you need for planning on-the-go in a compact package of high-quality materials. 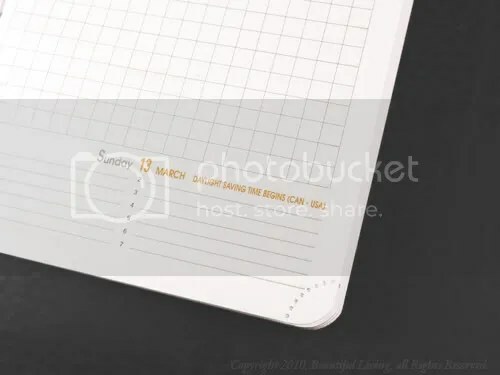 The weekly planning format has a week-to-view on the left page and a gridded page for doodling, day-dreaming or note taking on the right page. 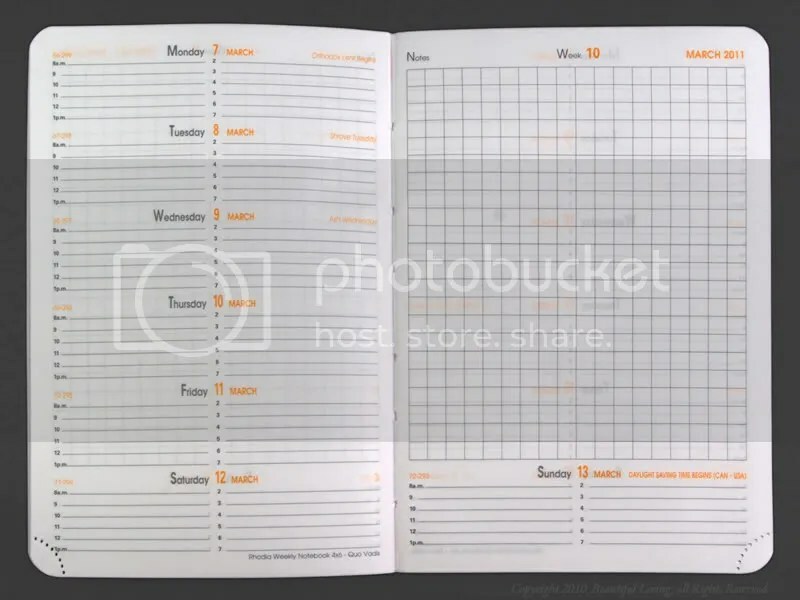 Subtle gray and orange inks make organizing your life a more lively experience than traditional monochromatic planner pages and give your planner a unique look. Choose a planner that’s right for you in large or small planner with a orange or black cover. For a 10% discount on your next order at JournalingArts.com, be sure to enter coupon code SAVE10NOW when you checkout. Coupon code is good through September 30, 2010. Rhodia's 2-page planning spread features the calendar on the left page and a gridded page on the right for doodling, sketching, notes and more. Removable corners make keeping track of your days easy. 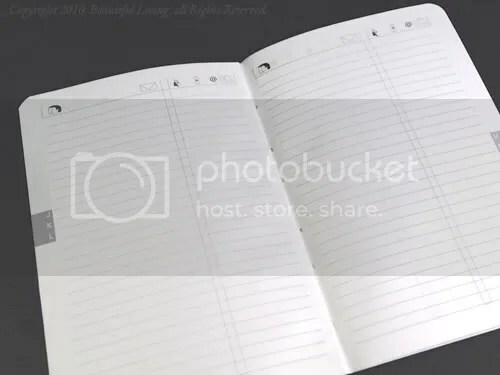 An alphabetized address book in the back is great for organizing your contacts. A small annual planner in the front of the planner gives you an overview of the entire year with room to schedule your events.